Guillaume Apollinaire was a French poet, playwright, literary critic, novelist, representative of the avant-garde literature. 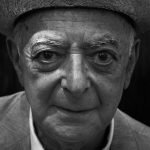 He became well- known for his experimental verse and for his support of avant-garde art movements such as Cubism. 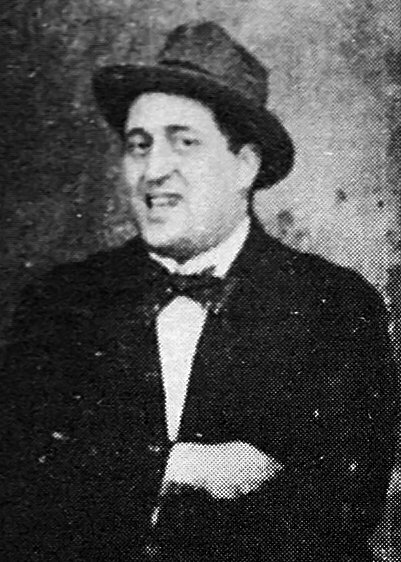 Guillaume Apollinaire (Wilhelm Apollinaire de Kostrowitzky ) was born in the 1880 in Italy, in the family of a Polish aristocrat and Italian officer. He was baptized as Wilhelm Albert Vladimir Alexander Apollinaire de Kostrowitzsky. Apollinaire spent childhood in Italy, he studied in Monaco, Cannes and Nice colleges, in the 1899, he moved with his mother to Paris. Thus, he lived in Paris since the age of 17. For some time, he worked as a teacher, then entirely dedicated himself to literature. In the 1910s, he was an active publicist: a newspaperman in “Mercure de France”, a critic in “Paris-journal”; in the 1912—1913, he edited a journal “Soirées de Paris” with Andre Billie. 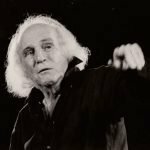 He had friendly relations with artists Pablo Picasso, André Derain, Henri Rousseau and others. In the 1907, he got acquainted with an artist Marie Laurencin; until the 1912, he had an amorous connection with her. On the eve of the 1st World War, Apollinaire foresaw that the “time of revolutions” was approaching. In the war, he saw meaningless destruction of a person by a person, but in the 1914, he entered the French army as a volunteer: The striving to free Poland was one of the causes of this decision. Being on the front, on the 17th of March, 1916, Apollinaire was injured in the head by a shell fragment; in May, he came through a trepanation. In autumn 1918, Apollinaire, weakened by an operation, died from Spanish influenza during its epidemic. 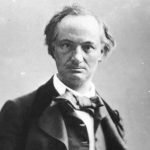 He was buried in the Pere Lachaise Cemetery in Paris. Since the 1902, the works under the pen-name Apollinaire were published. Apollinaire began his creative way as a brave poet- innovator denying many poetic traditions. 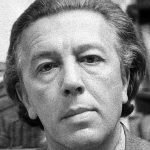 According to his deep belief, the emotions of a person of the twentieth century, his psychological complications can not be expressed by old poetic means. Therefore, an update of a form of poem itself, as well as of the entire system of poetic images are necessary. In the 1912—1913, he wrote about modern painting: “The Cubist Painters”. The first war poems by Guillaume Apollinaire addressed “to a beautiful lady”, in the traditions of courtly lyric, were tinged by warlike contempt for an enemy (the collection “Poemes a Lou”, 1915). However, Apollinaire also created a lyrical chronicle of tragic perception of the war (“Calligrammes. Poems of Peace and War 1913—1916”, 1918). 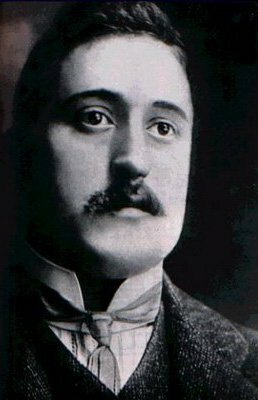 The main thing in Guillaume Apollinaire poems is the appeal for preservation of the best human qualities as nobility, kindness and morality, even, as it would seem, in the most extreme conditions, when the most difficult historical cataclysms are undergone and when maintaining humanity is already a feat. Apollinaire’s style in literature can be called “a work without taboo”. The passion for experiments became the main feature of his works. He demonstrated freedom from stereotypes in art. Apollinaire widely used a free verse– a type of poem, which does not have beat, rhyme, strict rhythm, identical length of lines, but it is full of musicianship, internal poetics. Apollinaire was the first, who began to write without punctuation marks (from the 1912), because they seemed excessive to him. a drawing and a poem. He also created poems- reports, which represented a poetic integrity combined from separate bricks. In his works, Apollinaire consolidated the Cubism (the principle of reflection of the real world in form of combinations of geometric figures), the Futurism (a literary trend denoted by innovation and experiments), the Surrealism (a reproduction of the deliberate and subconscious one in a fanciful combination). When the poet moved from Rome to Paris, he quickly became known in the local artistic community. Among his friends was Pablo Picasso, one of the most influential artists of the previous century, one of the co-founders of the Cubist movement. 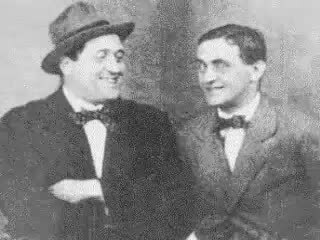 The collaboration between Apollinaire and Picasso laid the foundations of modernism in the twentieth-century art and literature. Even after the poet’s death, Picasso often drew inspiration from his works. Although Picasso designed a monument to Apollinaire on the 10th anniversary of his death, the design was rejected. On the 30th anniversary of his friend’s death, Picasso painted The Kitchen, which is believed to have been inspired by the original design for the monument to Apollinaire. 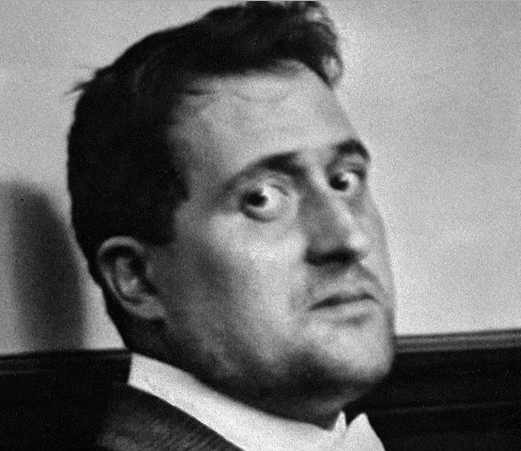 What was the cause of Guillaume Apollinaire’s death? The poet died from an influenza-related respiratory illness. He fell victim to the Spanish flu pandemic of 1918.